Hi there! 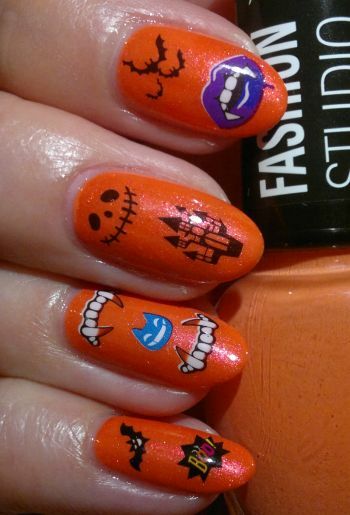 Here’s another Nail Of The Day post! For this mani I painted my nails with Astor Perfect Stay Smooth Velvet Effect 612 Devil In Me (2 coats, thumbs, index and middle fingers). This polish is matte, and it does feel and look a bit like velvet. I wanted a shiny blue, so I used clear polish to get rid of the matte look. I painted my ring fingers and pinkies with Essence Aquatix 04 Under The Sea (3 coats). This is a silver holo polish, but the holo effect isn’t very strong. 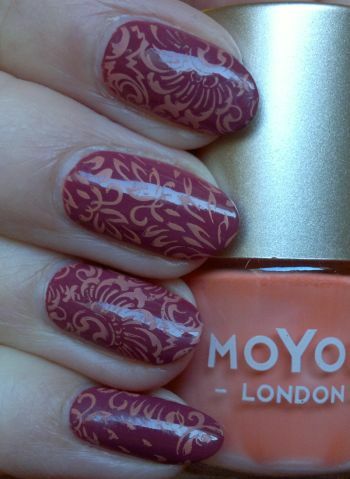 I used an unbranded Christmas-themed stamping plate (pinkies, middle fingers) as well as MoYou London‘s Hipster 22 plate (index and ring fingers, thumbs). 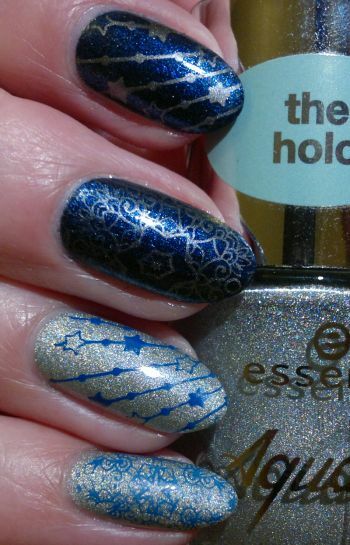 The polishes I stamped with are Essence Colour Boost 11 Instant Match (blue) and Sally Hansen Insta-Dri Presto Pewter (silver). This is another mani I liked. It wasn’t perfect, but it came pretty close to what I wanted it to look like. Hi there! 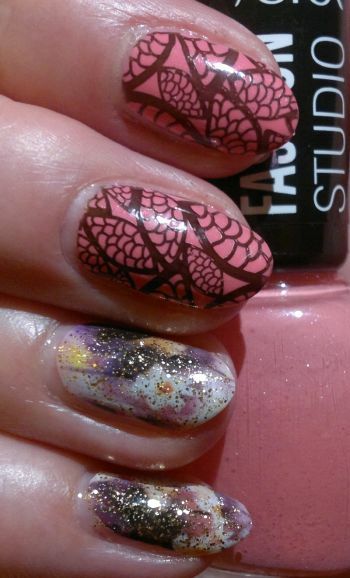 Today’s post is about a mani I did quite a while ago. 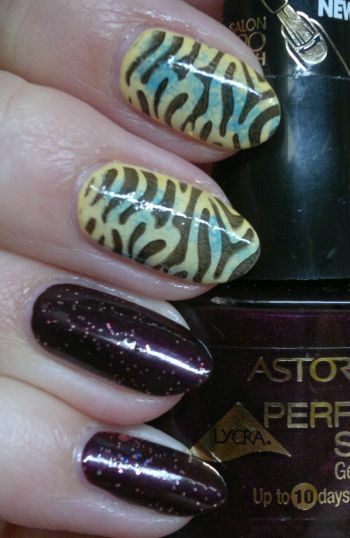 For this mani I painted my nails with Astor Fashion Studio 004 Deliciously Violet (2 coats). The colour didn’t come out right in the picture. In real life it’s a mix between grey and lilac with tons of micro-shimmer. It’s actually a beautiful colour. The stamping plate I used is Bundle Monster‘s BM 723 plate which is part of Bundle Monster‘s Secret Garden stamping collection. The black polish I stamped with is Revlon Colorstay 270 Stiletto. This wasn’t the most spectacular mani, but I think it looked nice. Hi there! Today’s post is about a mani that I did a few months ago. I thought the mani would look awesome – but it didn’t. So I only for it for a day. For this mani I painted my nails with Astor Fashion Studio 004 Deliciously Violet (2 coats). I’d describe the shade as a violet-tinted grey. 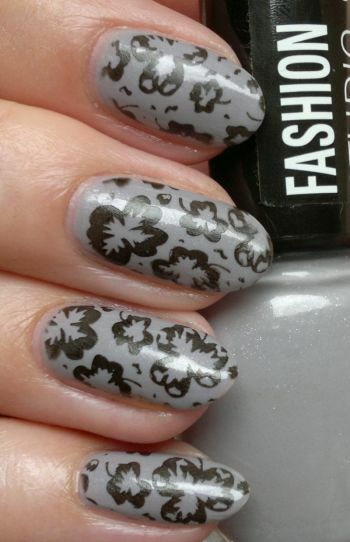 It’s not my favourite colour, but I bet it’s a great base colour for stamping. Actually, I wanted to stamp (I should have done that! 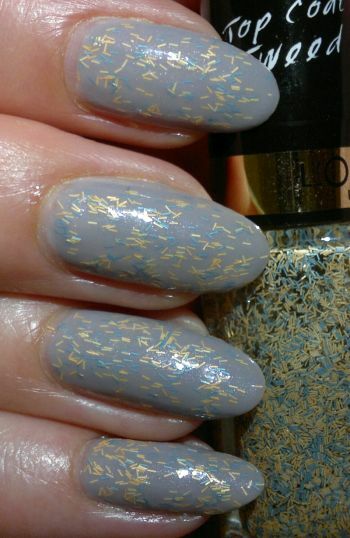 ), but I also wanted to try L’Oréal’s Color Riche Top Coat Tweed 917 Jackie Tweed. I went for the fuzzy top coat – and it was the wrong choice.